The second in a series of booklets highlighting Norfolk soldiers involvement in the Great War was launch this Remembrance Day. 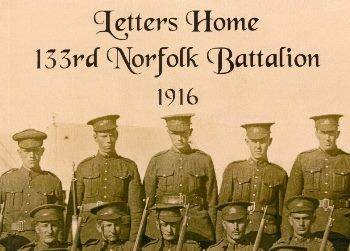 Letters Home: 133rd Norfolk Battalion 1916 is available through the Norfolk County Public Libraries and Norfolk museums. See the publication page for further details. More booklets published soon!